A weekly chat with Chess International Master Danny and Coffee Snob Motz on all things coffee, chess, tech, & the lives of these two adorable besties. 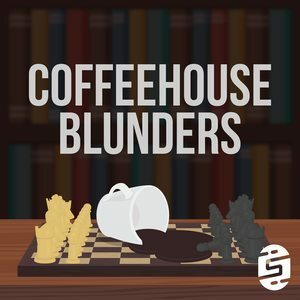 We found 1 episode of Coffeehouse Blunders with the tag “hand and brain”. This week we talk about Twitch streaming culture and community for Bits and Subs, Motz is blown away by the recent Hand & Brain chess battle, and get to some listener feedback.